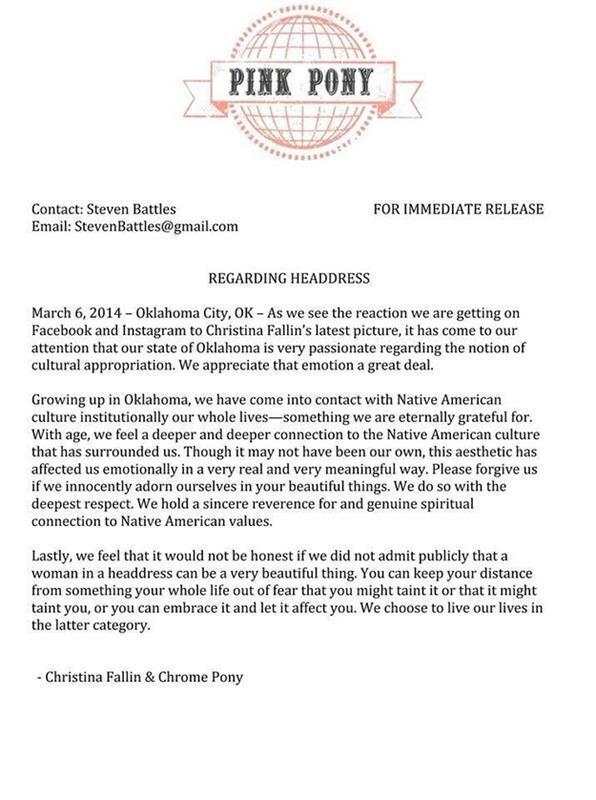 Pink Pony front woman and daughter of the governor of Oklahoma, Christina Fallin was really feeling a deep connection to the Native Americans she grew up around. 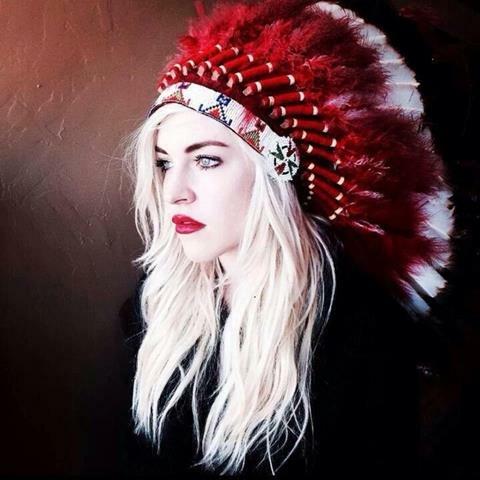 So deep that she posted this picture of her wearing an admittedly-stunning-though-sacred-so-you-probably-shouldn’t-pose-in-it-for-Facebook headdress on her band’s Facebook page. She titled the picture Appropriate Culturation, so she clearly presumably knows what cultural appropriation is and is trying to be clever. She also apparently decided to redefine it and made herself the appropriator of the appropriateness of cultural appropriation. Yay! She now decides when people from one culture can rock the ritual and sacred items from another culture as “fun accessories” or funky fashion for flaunting their deep spiritual connections. Too bad no one told the many peoples who belong to the cultures for which she is the appropriate appropriator of cultural appropriateness. Thus, her Appropriateness had to issue this royal proclamation from her cultural fantasyland apology. Sigh. Next time, just let your mane flow, little pony.